Last Wednesday was a historic day for fans of the Marvel Cinematic Universe (MCU). After months of pleading from desperate comic book and movie lovers, Marvel Studios finally released the first trailer for this May’s gargantuan superhero team-up film Avengers: Infinity War. The video became the most-watched trailer of all time in its first 24 hours with a staggering 230 million views. While impressive, this record comes as almost no surprise to those who have diligently followed the Marvel franchise, watching it grow from a promising string of hits into a massive, interconnected universe of star-studded blockbuster event films. According to the filmmakers, Infinity War serves as the culmination of the MCU’s 10-year, 17-film history (18 once Black Panther is released this February). The movie will be the first in a two-part saga focusing on the superhero team the Avengers as they are forced to team up with new allies to face the alien Thanos. The giant purple villain is collecting powerful gems known as Infinity Stones in an effort to “balance the universe,” a plan that bodes poorly for Earth. The movie will be bringing together nearly every hero ever glimpsed in a Marvel movie, from the Avengers to the Guardians of Galaxy and even relative newcomers like Black Panther and Doctor Strange. Most of these characters feature in the new trailer, which probably accounts for its unprecedented popularity. But for many, the best part of the trailer is the respect it displays for the dedicated fans who have made the franchise the success it is. The trailer feels almost like a love letter to the MCU’s “true believers,” as Marvel Comics legend Stan Lee would call them, and for a machine as massive as Marvel Studios, there is something refreshing about the fact that the folks in charge want to remember how they got their start. The first hint at this sentimentality arrived with the brief tease for the trailer’s release last Tuesday. As has become common practice on social media sites, the studio released a snippet of video meant to build hype for the launch of the upcoming two-and-a-half-minute preview – a trailer for a trailer, essentially (one of the more ridiculous aspects of movie marketing in the digital age). But while most studios release 10-second teases highlighting footage from the movie itself, Marvel Studios took a different approach. The video released last Tuesday was a nearly two-minute-long tribute to the fandom, composed of snippets of old trailer reaction videos posted by fans who sought to capture their own excited responses to past Marvel movie trailers, intercut with footage from the films they were watching. The video’s caption on YouTube read, “Thank you to the best fans in the universe! Marvel Studios’ ‘Avengers: Infinity War’ Trailer TOMORROW.” Now fans were not only excited for the next film in the MCU, they had been rewarded for their excitement. The following day, the trailer made its historic debut. It opens with a tribute to Marvel Studios’ humble beginnings. After a brief glimpse of Earth from space, the first character we see is Robert Downey Jr.’s Tony Stark, the hero who kicked off the MCU in 2008’s Iron Man. Seeing Downey’s face, independent from his now-famous Marvel castmates, reminds longtime fans just how wild it is that he launched a multi-billion-dollar franchise. When Marvel Studios decided to mount a superhero franchise in 2006, They took a gamble by building their debut film around a B-list comic book hero, a director best known for the 2003 holiday comedy classic Elf, and a star fresh off of years of highly-publicized substance abuse, arrests, and stints in rehab. 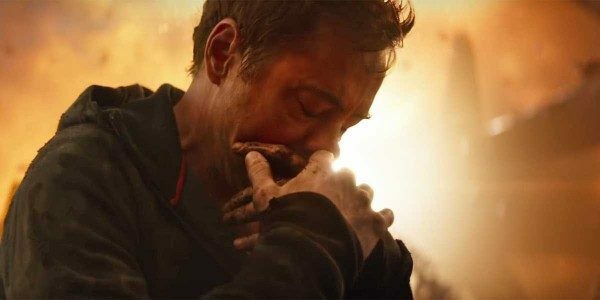 Iron Man’s success (the movie earned over $585 million) was every bit as unlikely as Downey’s sudden career comeback, so it seems only fitting that he is the first hero we see in the Infinity War trailer. As we watch Downey’s face flash across the screen, we also hear the voice of Samuel L. Jackson’s Nick Fury, the man who originally brought the Avengers together. The pairing of the two characters again harks back to the MCU’s inception. The concept of Marvel’s interconnected universe was first suggested in Iron Man’s post-credits scene, in which Fury meets Stark and tells him that he has become, “part of a bigger universe.” Here Fury also name-drops “The Avenger Initiative,” a plan to bring together Earth’s mightiest heroes in order to combat global threats. This sequence prepared audiences for the eventual 2012 team-up film, The Avengers. In fact, Fury’s dialogue in the Infinity War trailer is lifted from a speech he gave in the 2012 flick in an effort to urge the Avengers to work together. However, while Fury delivered the entire monologue himself in The Avengers, the new trailer divides the lines among him, Stark, Paul Bettany’s Vision, Chris Hemsworth’s Thor, and Scarlett Johansson’s Black Widow to acknowledge the series’ growth over the past five years. Each of these characters are revealed in the next several shots of the trailer. Notably, Vision is seen standing close to Elizabeth Olsen’s Scarlet Witch, each one tenderly stroking the other’s face. 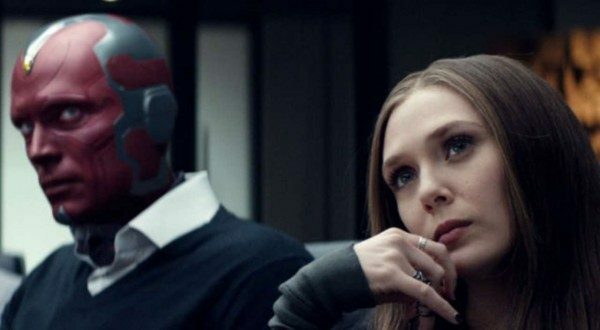 Since the debut of these two characters in 2015’s Avengers: Age of Ultron (Scarlet Witch was technically first seen a year earlier in a post-credits scene following Captain America: The Winter Soldier), many fans have pushed for them to become romantically involved, as they were in the comics. It now seems that Marvel has listened. This moment in the new trailer offers arguably the first glimpse of something more than platonic developing between them. Also seen in the character montage at the trailer’s start is Mark Ruffalo’s Bruce Banner, the scientist who transforms into the indestructible green beast known as the Hulk. We first spot Banner here shirtless and lying in a pit. The image is a clear visual callback to The Avengers, which marked the first MCU appearance of Ruffalo’s Banner. In that film, he ended up lying naked in a crater after smashing through the roof of a warehouse as the Hulk. In the trailer, Banner has landed in the Sanctum Sanctorum, home of the sorcerers Doctor Strange and Wong, respectively played by Benedict Cumberbatch and Benedict Wong. A later shot shows the two sorcerers standing alongside Banner and Stark, which fulfills two fan wishes: a reunion of the so-called “science bros” (Stark and Banner, who are both brilliant scientists and close friends in the films, but haven’t seen each other onscreen in several years), and a scene that puts the two Marvel actors who have famously portrayed Sherlock Holmes (Downey and Cumberbatch) in the same room. Moments later, we see Banner standing beside the giant mechanical arm from Stark’s infamous “Hulkbuster” Iron Man suit, last seen in Avengers: Age of Ultron. 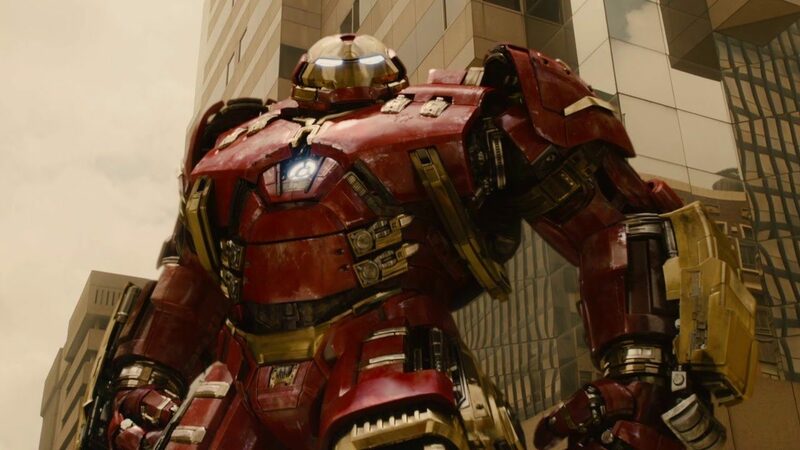 Moviegoers were thrilled to see the Hulkbuster, famous from the comics, appear in the 2014 film during a fight sequence between Stark and a mind-controlled Hulk, but many were disappointed by its short-lived moment in the sun. 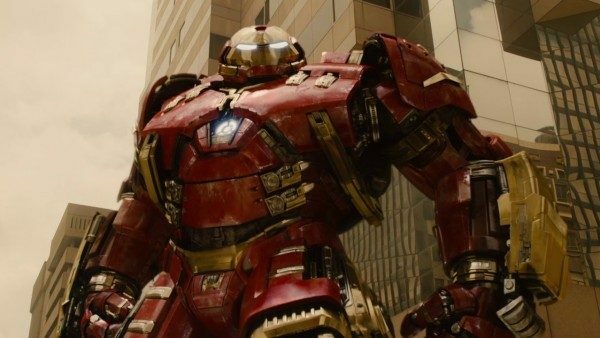 The Hulkbuster’s return to the big screen in Infinity War (a later shot in the trailer shows the full suit in action) will likely satisfy those complainers. As the trailer continues and the Marvel Studios logo flashes across the screen, Alan Silvestri’s now-famous Avengers theme, originally composed for the 2012 film, can be heard. Only a few notes are played, just enough for the true fans to recognize the score, before the voice of Josh Brolin’s Thanos takes over. He speaks of the downfall of the Avengers, hinting at what sounds like destruction on a planetary scale. Soon we are shown another familiar face, Tom Holland’s Peter Parker. Parker is sitting on his high school bus when all of the hairs on his arm suddenly stand up and he looks out the window to see a strange alien craft hovering over New York City. Here Marvel is addressing another fan complaint. When Marvel and Sony Pictures’ Spider-Man: Homecoming was released last July, countless Spidey lovers lamented the fact that Peter Parker didn’t seem to have a Spider Sense (the character’s trademark precognitive ability to detect incoming danger). In the comics, the power is often described as similar to the feeling one gets when all of their hairs stand on end. Now, Marvel is giving fans just what they asked for, clearly showing Parker’s Spider Sense in action. As if that weren’t enough, Parker is next shown donning the armored Spider-Man suit that Stark offered him at the end of Homecoming. In that film’s conclusion, Parker declined to accept the suit, which Stark presented along with an offer to join the Avengers full-time, and chose to remain a small-scale, street-level superhero. 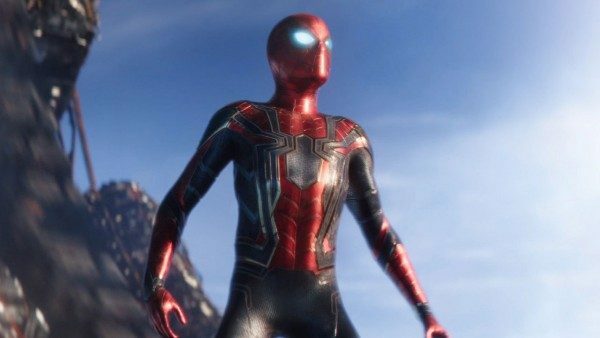 While most fans appreciated this ending, as it held true to the core sense of humility that defines Spider-Man, viewers couldn’t deny the cool factor of the shiny new suit, which bore a resemblance to the “Iron Spider” suit that Stark built for Spidey in the comics. The fact that the Infinity War trailer shows Spidey finally wearing the suit both confirms the fact that the web-slinger will need to (at least temporarily) join the Avengers in order to stop Thanos, and provides wish fulfillment for Marvel fans who dreamed of seeing the armored Spidey suit in action. Speaking of wish fulfillment, Marvel seems to thoroughly enjoy telling fans that they were right. Another shot in the new trailer shows Tom Hiddleston’s Loki holding up the Tesseract, a powerful cube that houses the Space Stone (one of the Infinity Stones). The ubiquitous cube is a well-known fixture of the MCU, having shown up in several films since its introduction in 2011’s Captain America: The First Avenger. The image of Loki holding the artifact recalls The Avengers, in which he memorably stole it. Many fans believed that a scene in last month’s Thor: Ragnarok, in which Loki eyes the Tesseract while running through the palace of his adoptive father, Odin, hinted at the fact that Loki would steal it once more. His possession of the cube in the new trailer all but confirms this theory. It’s not long after this shot of Loki that we again glimpse his brother, Thor, who is shown with both arms outstretched, struggling to hold together some massive machine. His pose is a familiar one to Marvel viewers, echoing Chris Evans’ Steve Rogers when he worked to stop a helicopter from leaving a rooftop in Captain America: Civil War and Peter Parker when he attempted to hold a collapsing Staten Island Ferry together in Spider-Man: Homecoming. These images have inspired a plethora of memes among fans, which Marvel is perhaps acknowledging by offering more meme material, this time involving Thor. Steve Rogers is the next familiar hero the trailer shows us. Viewers haven’t seen Rogers since the end of Captain America: Civil War, when he was labeled a fugitive for refusing to sign the divisive Sokovia Accords and harboring his friend Bucky Barnes, a former soldier who was brainwashed into becoming an assassin. 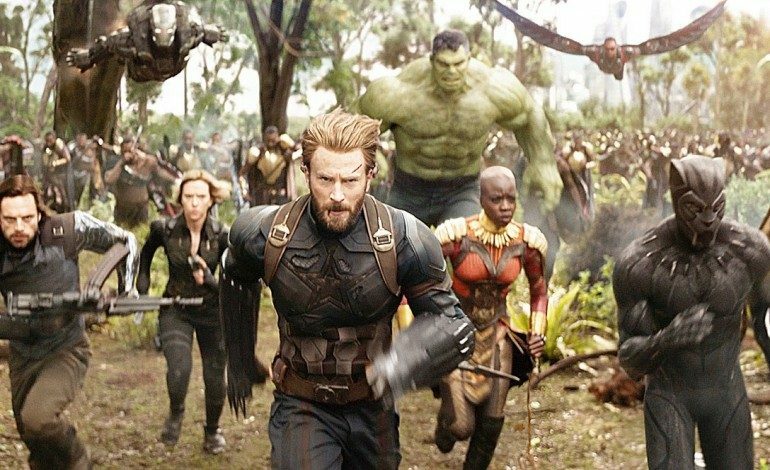 Rogers was last spotted breaking his friends and fellow Avengers out of a secret prison and escaping to Wakanda, the African nation that is home to Chadwick Boseman’s T’Challa (also known as Black Panther). It seems fitting that T’Challa is the one who reintroduces Rogers to viewers in the trailer, seemingly echoing fan sentiments when he says, “Get this man a shield.” The line references Rogers’ weapon of choice as the hero Captain America. Now, as a fugitive, Rogers is shown stepping out of the shadows, sporting a beard but lacking his trademark shield. Fans probably want to see the shield back in Cap’s hands just as much as T’Challa does, a sentiment not wasted on Marvel Studios. This brings me to one of the last issues fans want to see cleared up in Infinity War: the bad blood between Rogers and Stark. The collapse of their friendship was at the center of Civil War, and most moviegoers have been desperate to see the two reconcile. The new trailer offers hope for this as well. A quick shot reveals that Stark is holding an old flip phone. The device may seem oddly out of place in the hands of a billionaire tech genius, but eagle-eyed fans have recognized it as the same phone that Rogers sent to Stark at the end of Civil War, instructing him to use it if he ever needed Cap and the other Avengers. It seems that, at last, Stark will be taking him up on that offer. Marvel has truly pulled out all the stops to create a trailer that puts just as much effort into rewarding MCU fans as it does building hype. Even the video’s last moments work to please those who may have felt something was missing: The final shot offers a quick glimpse of the beloved Guardians of the Galaxy. After 10 years of franchise-building, it appears that Marvel Studios knows exactly what its fans want to see, and there is a certain comfort in the idea of a massive franchise celebrating the passionate loyalty of the people who have made it a success. See the full trailer for Avengers: Infinity War here.